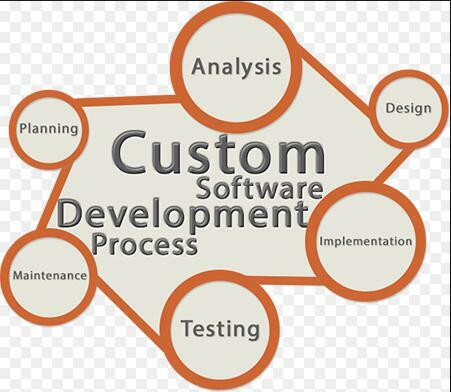 Custom software development, Custom software development severce, Custom software development company,Tabpear. We are a passionate and experienced team which has software development specialists, creative design specialists and overseas marketing professionals. We have provided software custom development, app custom development, e-commerce platform development, cloud-based information management system, embedded system hardware and software development,Machine learning, network intelligent system design and development for domestic and foreign customers in the United States, Australia, Hong Kong, Shanghai, Shenzhen and Guangzhou. Tabpear is a Software Technology Co., Ltd which has many domestic excellent e-commerce platform R & D teams and mobile R & D teams. We divide the software engineer teams into several levels according to the project development experience. Level one is more than 3 years of development experience. Level two is more than five years of development experience. Level three is more than 10 years of development experience and Level four is expert team which has more than five participating in research projects, Invention patents and software copyrights of 6 or more, published in the core periodicals more than 10 papers. There is also a team which is working at cloud computing and service computing including four doctors, seven masters and 23 persons who have master's degree. Tabpear and cloud computing and service computing research team in Xidian University reached a strategic cooperation, committed to providing customers,at home and abroad,a new generation of enterprise information management system based on cloud computing to SaaS rental model as the representative.It includes lightweight Level customizable office automation (OA) system, Invoicing management system, customer resource management system and logistics management system. The above system is built on a scalable architecture that can be quickly customized to meet the needs of the new generation of information management systems. Embedded System Hardware and Software Development: Research and Development Embedded System Software and Hardware Based on Vxworks, Embedded Linux, Embedded Windows Platform (WinCE), Protocols Development such as Airborne Device Data Loader, Automotive Electronics, Real Time Monitoring and Alarm, Wireless video and other fields. Industrial automatic control: the study of industrial automation equipment under various industrial environments, automated production lines such as feeder, configuration control software and other industrial control hardware and software development. Tabpear is committed to win the praise of domestic and foreign customers through advanced international IT project management experience, a high standard of code delivery, agile development of teamwork, and excellent user experience and competitive prices.